Forensic specialists have put faces to the remains of men who went down with the USS Monitor 150 years ago. In August 2002, the rusty iron gun turret of the USS Monitor reemerged from the Atlantic Ocean, concluding a series of large-scale expeditions to the Civil War ship’s wreck site. Recovery workers found a pair of skeletons inside the 120-ton artifact—the remains of two of the 16 Union soldiers who lost their lives when the Monitor sank on December 31, 1862. To date, none of the other missing crewmembers have been found. Well-preserved and nearly complete, the skeletons were given to the Joint POW/MIA Accounting Command (JPAC), a task force responsible for identifying Americans killed during past wars and conflicts. 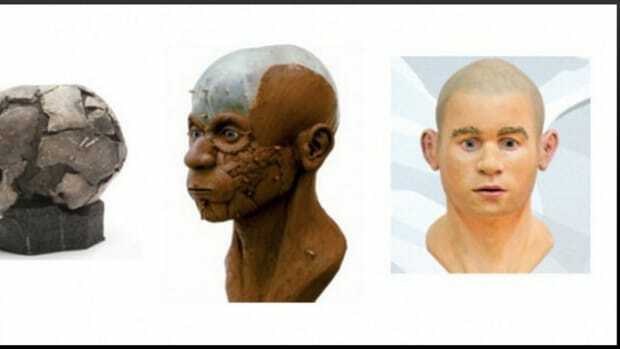 JPAC sent bone casts to scientists at Louisiana State University, who used 3-D modeling techniques to create clay facial reconstructions of the unknown soldiers. Officials hope that these detailed images, unveiled today during the dedication of a memorial plaque, might finally put names to the remains as the 150th anniversary of the Monitor’s demise approaches. 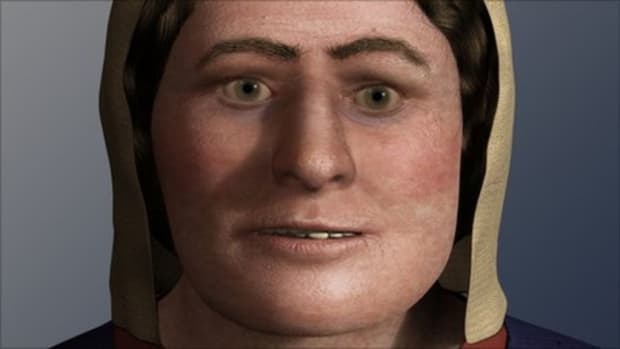 By examining the hip bones of the Monitor sailors, scientists estimated that one of the men was between 17 and 24 years old, while the other was between 30 and 40, said Mary Manheim, director of Louisiana State University’s Forensic Anthropology and Computer Enhancement Services (FACES) Laboratory. 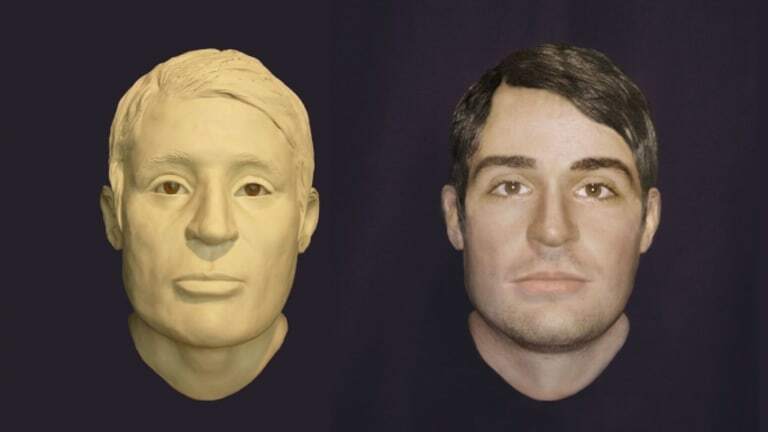 Next, imaging specialist Eileen Barrow placed tissue-depth markers on the two skulls to measure their contours before shaping features out of clay, Manheim said. 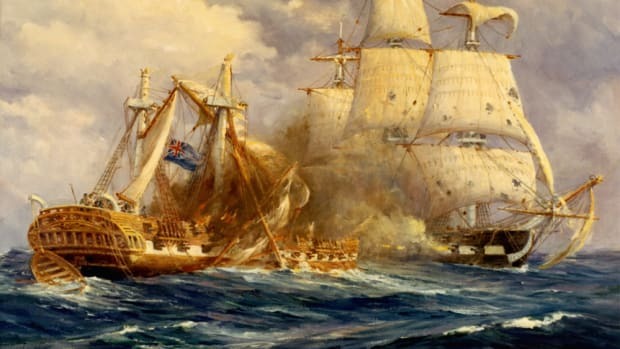 Experts think the two men might have died while trapped in the Monitor’s revolving turret, one of the innovations that made the vessel so revolutionary when construction began in late 1861. 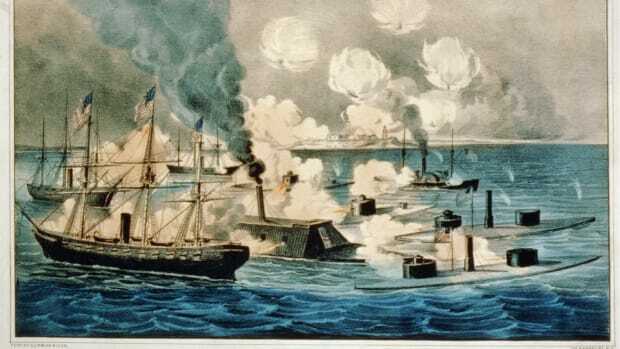 On March 9, 1862, the Union ironclad faced off against the CSS Virginia (originally the CSS Merrimack) during the legendary Battle of Hampton Roads. 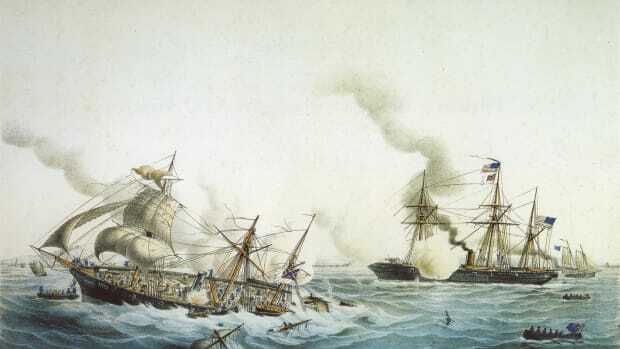 Considered a watershed moment in both naval and Civil War history, the engagement ended in a standstill. Nine months later, the Monitor made its way through rough waters en route to Beaufort, North Carolina, towed by the USS Rhode Island. The heavy, low-slung vessel had served well in the sheltered Chesapeake Bay but pitched and swayed on the open seas. 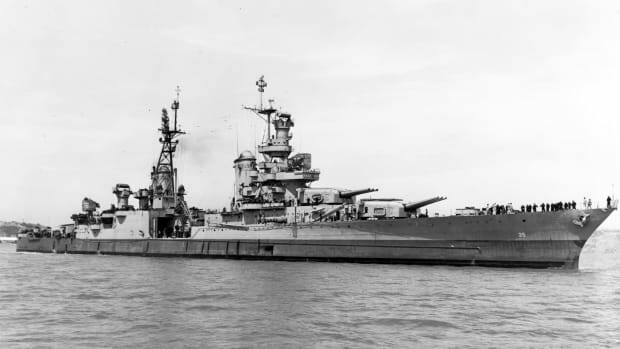 As waves tossed the craft, the caulking around the gun turret loosened and water leaked into the hull. On December 31 the ironclad’s pump stopped working, forcing its 62 crewmembers to abandon ship; it sank with 16 men still aboard.